It’s the end of the month and you have close to $0 in the bank. You’re not really sure how you got to this point, but you’re here and you’re hurting. No matter how much money you make, know this: unless you’re a billionaire, it’s extremely easy to outspend your income 8 Online Habits to Kick Because They're Costing You Money 8 Online Habits to Kick Because They're Costing You Money Online shopping is really convenient -- but it can also be really dangerous. Read More . We’ve all been there before. Some of us have been able to break free of that cycle and end up in a better place. But how about you? Are you willing to do what it takes to regain control over your finances? Or would you rather keep succumbing to that stress month after month How to Get Rich: The Fastest Way to Get Out of Debt How to Get Rich: The Fastest Way to Get Out of Debt Imagine being debt free. No overdrawn balances or unpaid bills. There is a foolproof way of getting yourself out of debt. It starts with a plan and some discipline. Let's visit the other ingredients. Read More ? There’s only one right answer, if you ask me. If you’re ready to take that first step, go ahead and visit Better Money Habits. This website is a joint endeavor between Bank of America and Khan Academy. While Bank of America may not have the greatest reputation as a financial institution, Khan Academy is renowned for providing free high-quality education. Better Money Habits is a one-stop resource for learning the fundamentals of personal finance without any of the stress or intimidation. You’ll learn how to save money, get out of debt, build up retirement, and ultimately get your life back on track. Other useful resources include these TED Talks on attitude towards money 4 TED Talks to Help You See Your Money in a New Way 4 TED Talks to Help You See Your Money in a New Way Personal finance can be a scary and intimating subject. Luckily there is a wealth of information to help you learn. Here are some of the best TED Talks on the subject. Read More , these blogs that teach personal finance Simply Frugal: How To Learn Personal Finance The Easy Way Simply Frugal: How To Learn Personal Finance The Easy Way Do you fret over bills and debt on a regular basis? Do you feel lost when others speak using financial lingo? Here's the good news: it's never too late to learn about money. 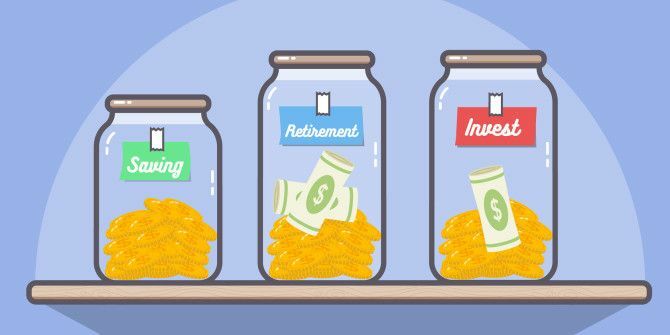 Read More , and these 30-day challenges for building up your money skills How to Fix Bad Financial Habits With a 30-Day Money Challenge How to Fix Bad Financial Habits With a 30-Day Money Challenge Read More . What’s your biggest obstacle when it comes to money? Got any bad habits you’re trying to overcome? Which websites are helping you most? Tell us about it in the comments! Explore more about: Money Management, Personal Finance, Save Money.